It is our pleasure to introduce Volume 3, Issue 4, of the Peace Science Digest. 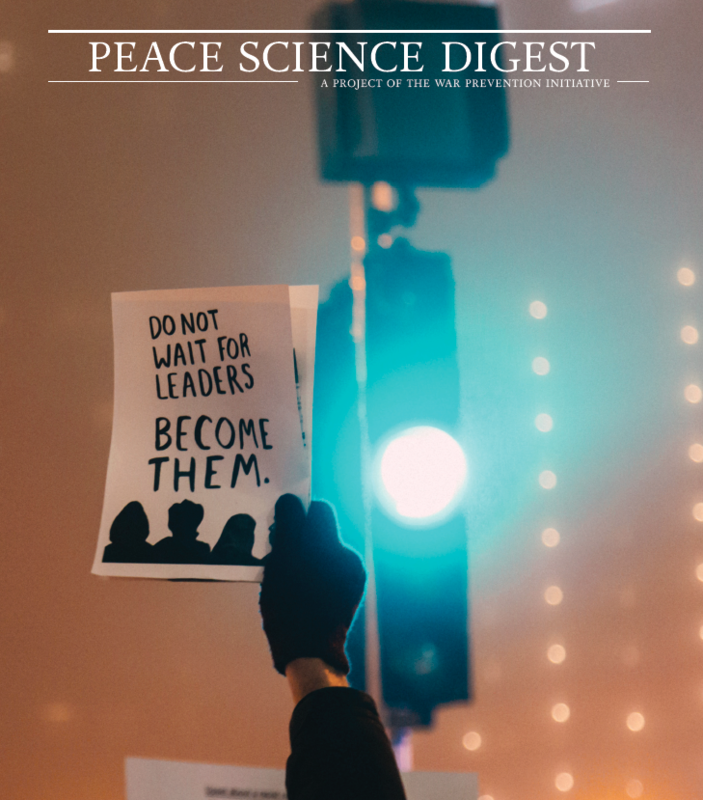 As always, research analyzed in the Digest touches on a range of topics in the field of peace and conflict studies. While not all will directly relate to your areas of interest or practice, the research summarized here is supplemented by thought-provoking practical analysis and reflection on contemporary relevance meant to spark curiosity and support our readers’ work, activism, and education in a range of fields related to peace and justice. In this issue, we examine research on the successful nuclear weapon free zone treaties that helped pave the way to the 2017 Treaty on the Prohibition of Nuclear Weapons, and how approaching nuclear weapons prohibition through regional stepping stones may be the key to global abolition. Next, by looking at a study on levels of weapons imports, we see a direct relationship between the influx of weapons and the likelihood of a specific classification of countries engaging in civil war. In the third analysis, we learn that less than one in five nonviolent uprisings in the past 45 years has attempted mediation to resolve the conflicts they seek to address. It turns out that higher risks and costs associated with a nonviolent uprising—either the presence of radical flanks or high levels of state repression—are closely related to mediation attempts. Next, we are taken to post-war Liberia where we explore the role of trust, norms, and social networks play in the ability of former combatants to reintegrate into society. The research highlights additional perspectives on the devastating toll war plays on individuals and societies, even after the fighting ends. Our last analysis focuses on why different organizations in the same movement choose the specific nonviolent tactics they do, resulting in a consideration of resource availability, interdependence, and strategic decision-making. When Countries Import More Weapons, Are They More Likely to Go to War? When Do Nonviolent Uprisings Prompt Mediation?